The Weihrauch HW30S is a lightweight, junior sized air rifle, ideal as an entry air rifle for the aspiring shooter. 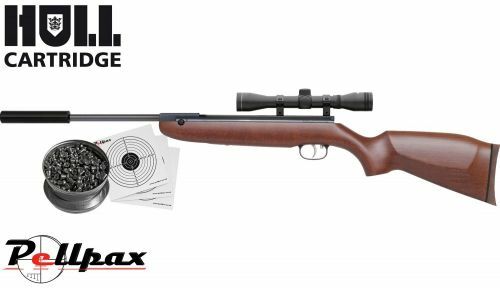 With an ambidextrous beech stock, Rekord two stage trigger, and cross bolt safety, the specification of this rifle is very comparable with some of the greats. Weihrauch are now doing this as a combo, complete with the HW30S in .177, 4x32 scope with mounts, and a Barrel weight to finish it off. We are also including a tin of ProShot Precision .177 pellets, and a pack of our targets to get you going. All this comes neatly presented in a cardboard box which makes an ideal gift or present. With the Weihrauch barrel it is superbly accurate and consistent, and makes an excellent introduction to the brand of Weihrauch.